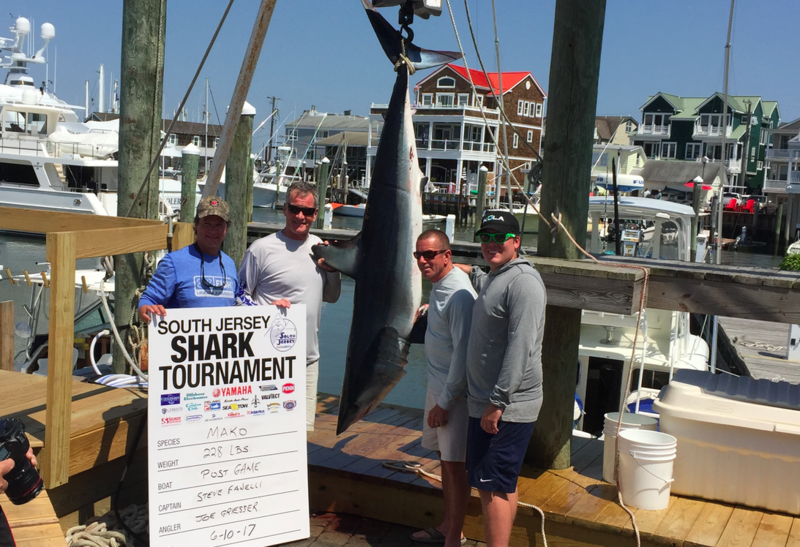 IUCN Red List threatened mako shark at the South Jersey Shark Tournament. © Lewis Pugh. 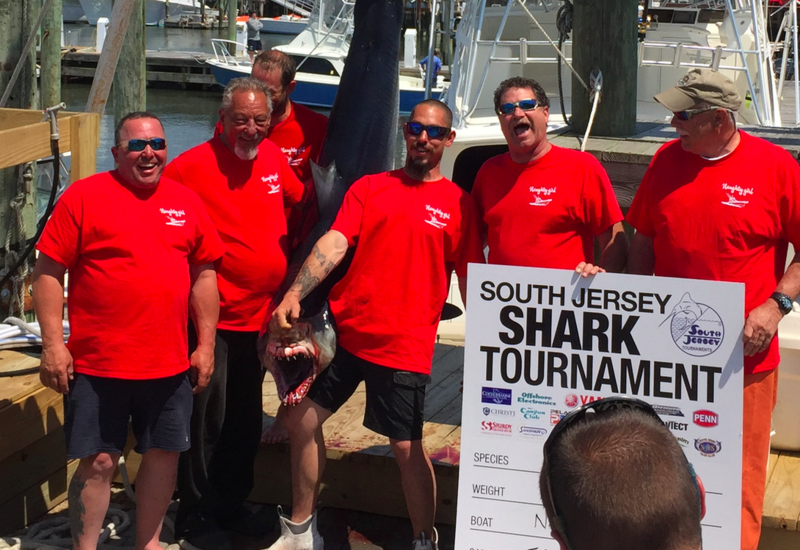 Team of anglers at the South Jersey Shark Tournament with IUCN Red List threatened mako shark. © Lewis Pugh. Anglers with IUCN Red List threatened mako shark. © Lewis Pugh. 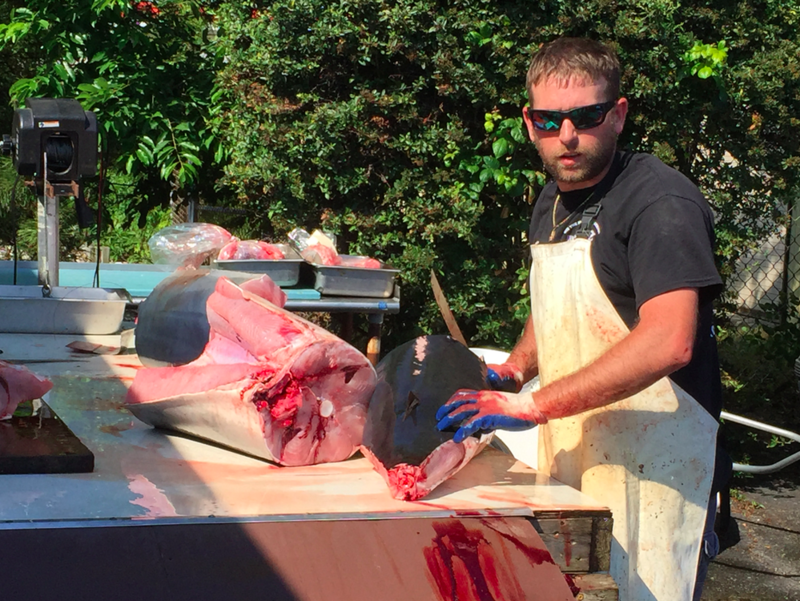 IUCN Red List threatened mako shark being butchered at the South Jersey Shark Tournament. © Lewis Pugh. 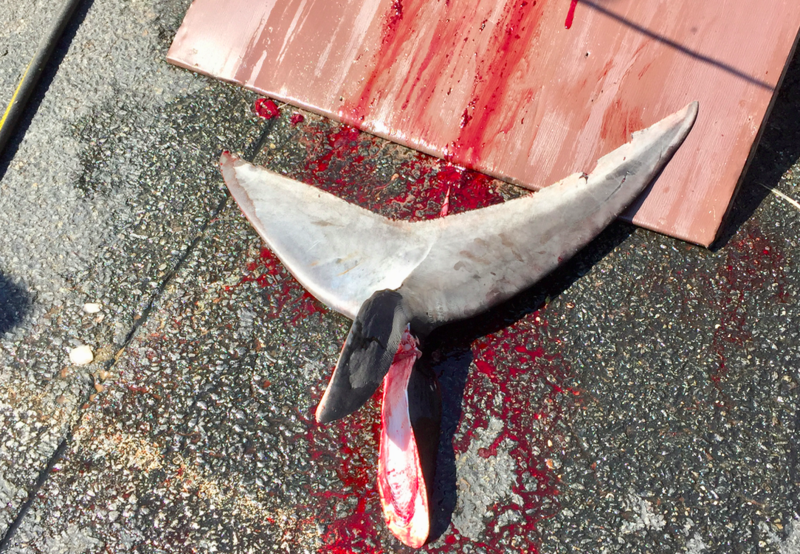 Mako shark caudal fin. © Lewis Pugh. Important update for 2018 season: NOAA Fisheries Emergency Regulations to Address Overfishing of North Atlantic Mako Sharks.